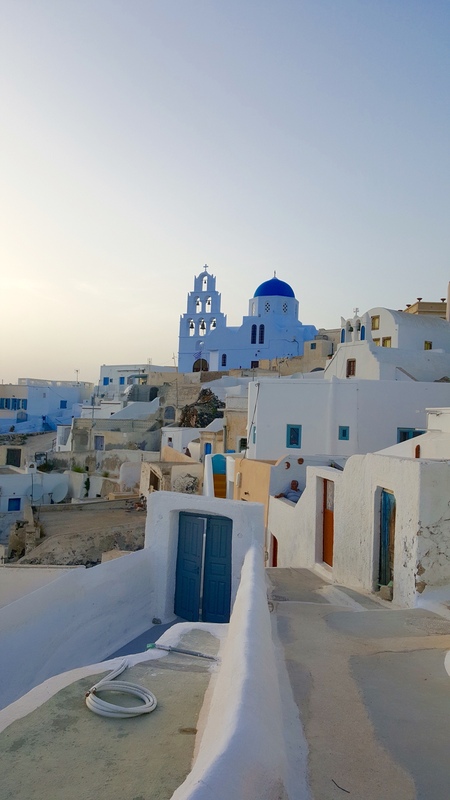 Key attractions and things to do in Santorini are listed here. The details for each attraction can be found below. What each of these has to offer? This might help you decide what interests you? 1. 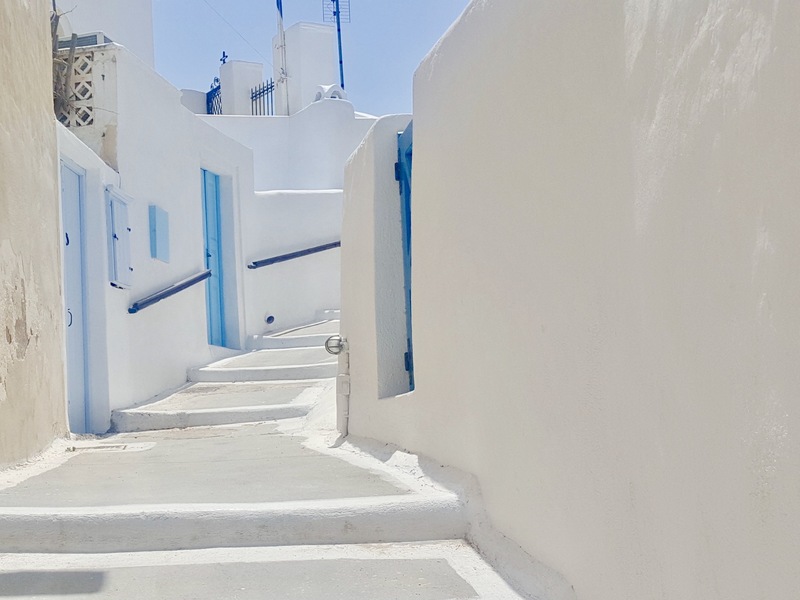 Oia – This is the place you see in every Santorini posts/photographs. 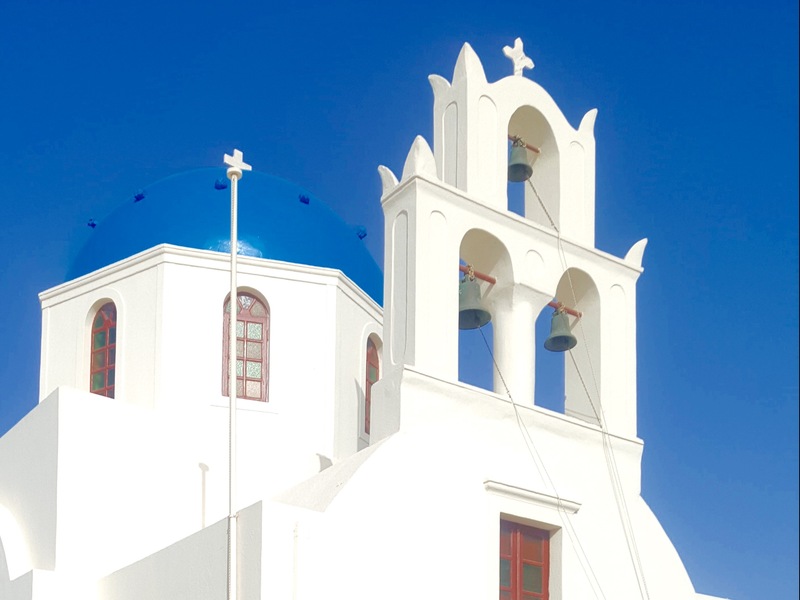 Blue dome churches & white/blue buildings. You can view the world’s best sunset here. 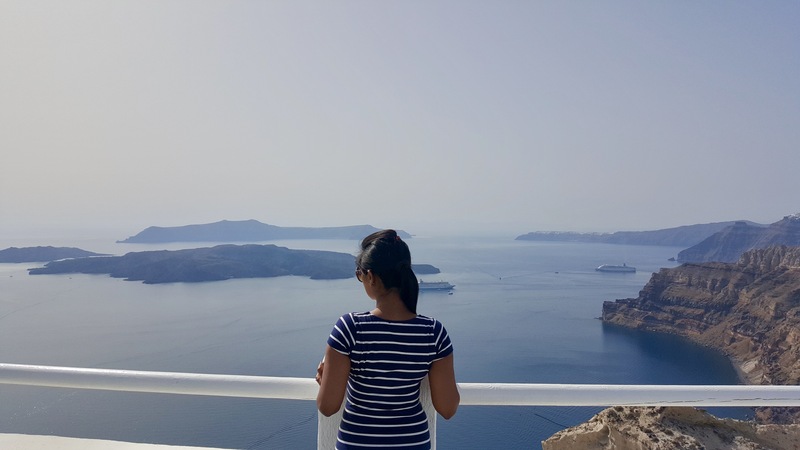 Best photo spots, Breathtaking view, Beautiful sunset and yes extremely expensive for food, shopping and stay. Beautiful is an understatement for this place. 2. 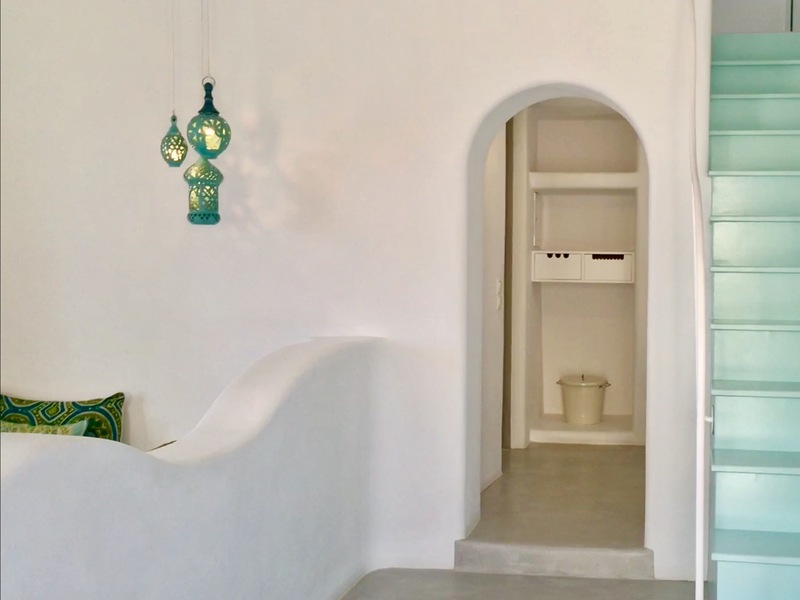 White cave hotels – These are luxurious hotels at Oia/Pyrgos/Imerovigli etc. These are extremely expensive but strongly recommended. 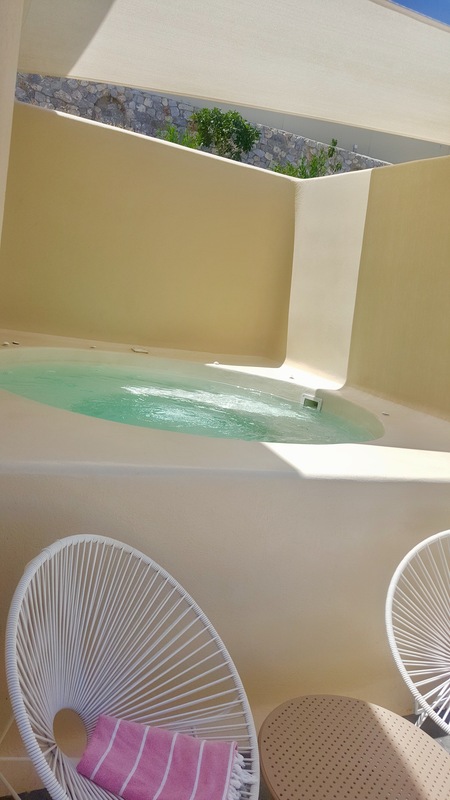 Exotic stay experience at white hotels with open air private jacuzzi are the highlights of Santorini. 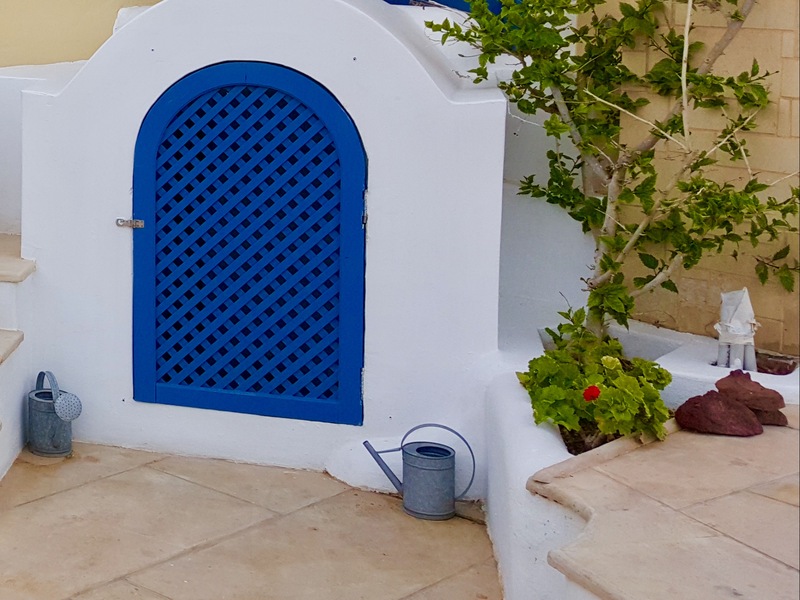 Visit Places to stay in Santorini for more details. 3. 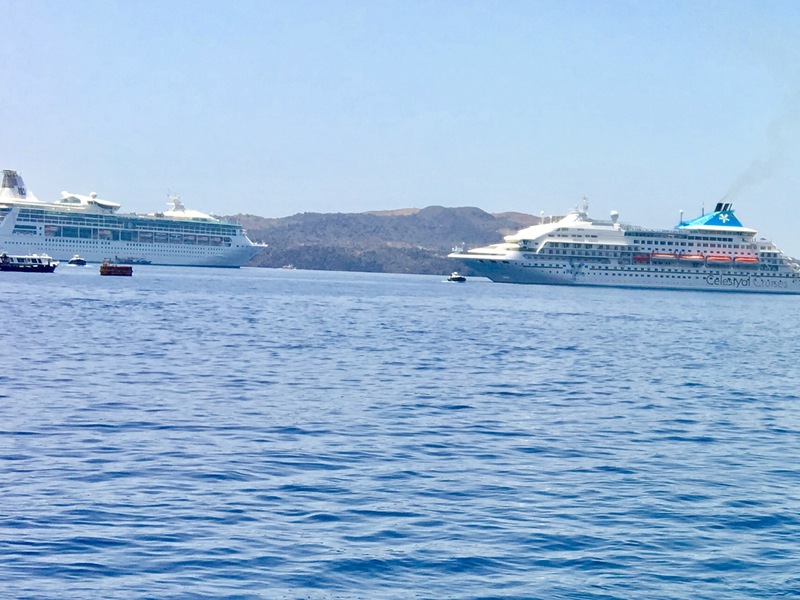 Cruise trip – Various cruise trips are available daily.You can book private boat or cruise excursion for experiencing hotsprings, mudbath, volcano, Thirasia.Please see Commute within Santorini for more details. Volcano– The crater still seems active, as hot fumes are released at many points. 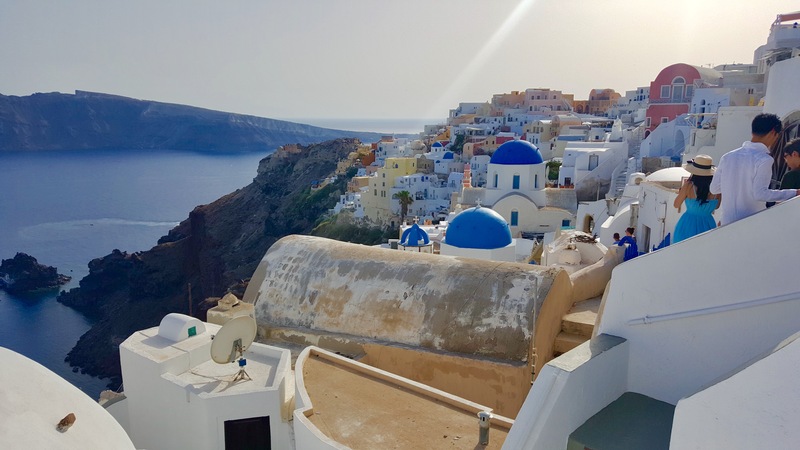 Little trekking to reach the top will give you the site of volcano fumes & beautiful view of Santorini. 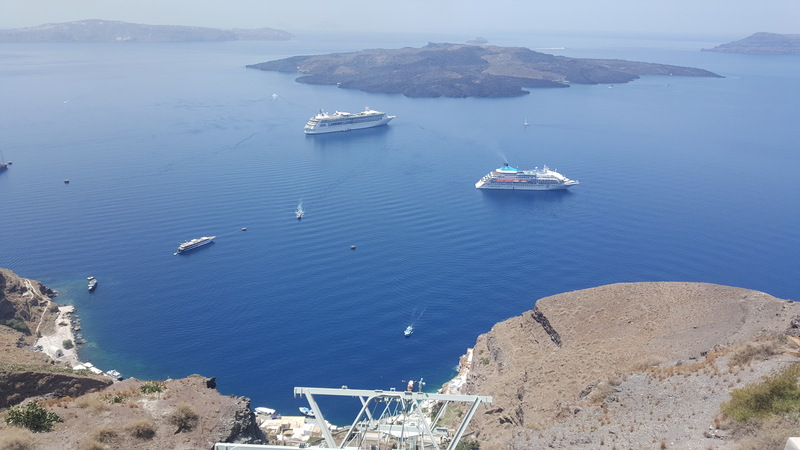 You need to buy a ticket on the spot before trekking at a cheap price of around 4 euro, usually this ticket is not included in the cruise fare. While walking the excursion guides will provide insights about the intense volcanic activity of the last 3000 years! 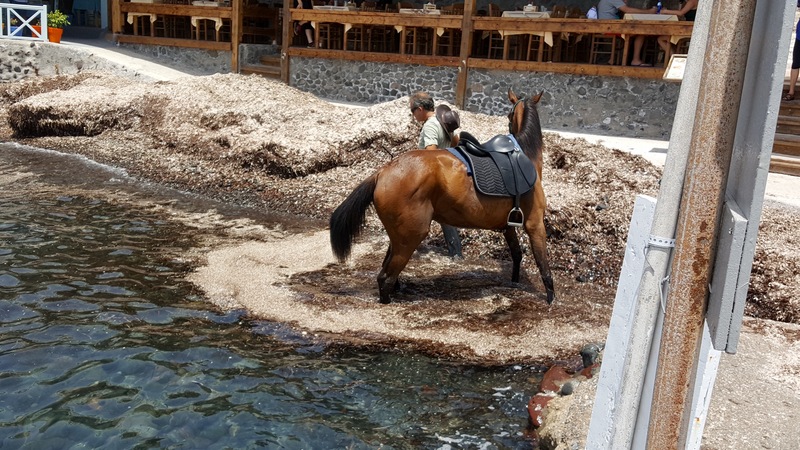 Mudbath and Hotsprings – A swim and a mud bath can be quite refreshing after a hot walk to the volcano! The mud bath is out in the center of the volcano hot springs. It’s not on the shore, it’s actually in the sea in a shallow cove. 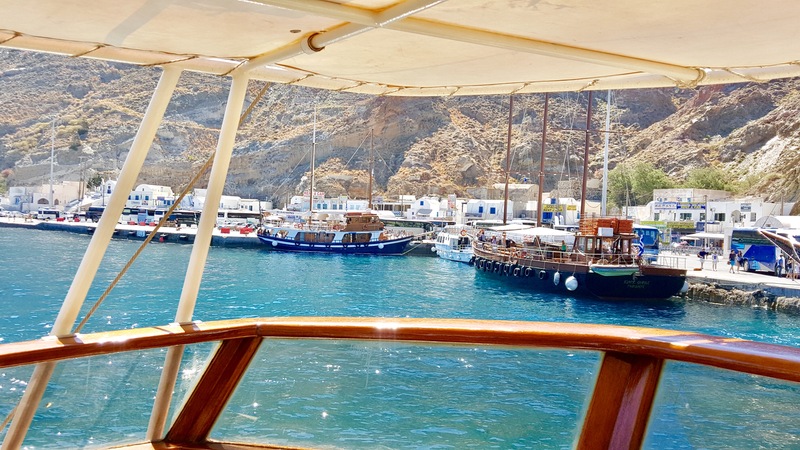 To get there you have to either take the daytrip excursion boat or hire a private boat to drive you out there. Visit to the hot springs is included in most of the excursions. 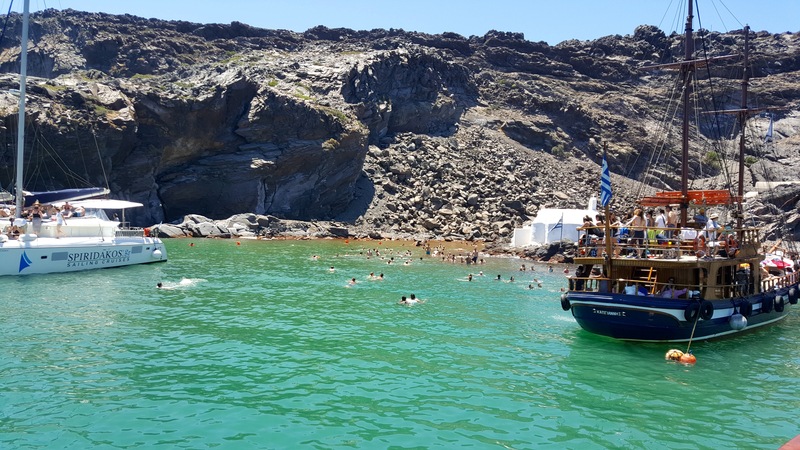 People wishing to swim in the hot springs have to swim from their boats into the muddy-looking bay. The boat can’t pull up to shore since it is too shallow so instead it anchors in deep water and you jump off the boat into some cool water! The water there has a temperature of about 33 Celcius and it contains sulfur that is good for the skin. The cruise will give you 30-40 mins for swimming. 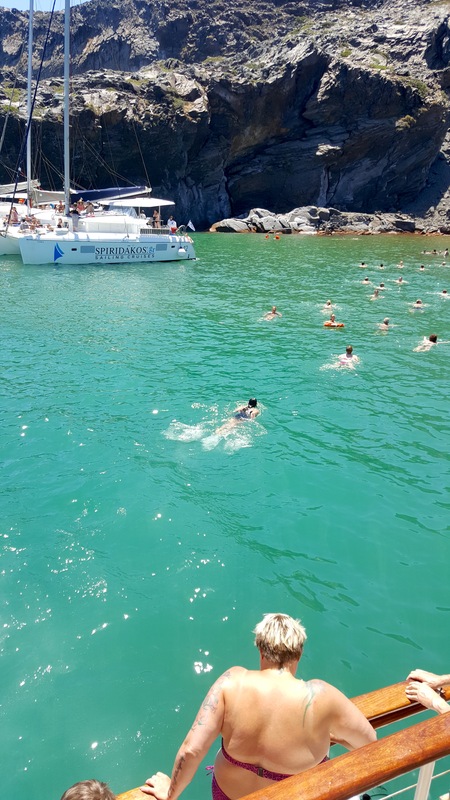 Getting into the water is not recommended for the people who do not know to swim (check with your boat / cruise guides if they can provide you a life jacket). 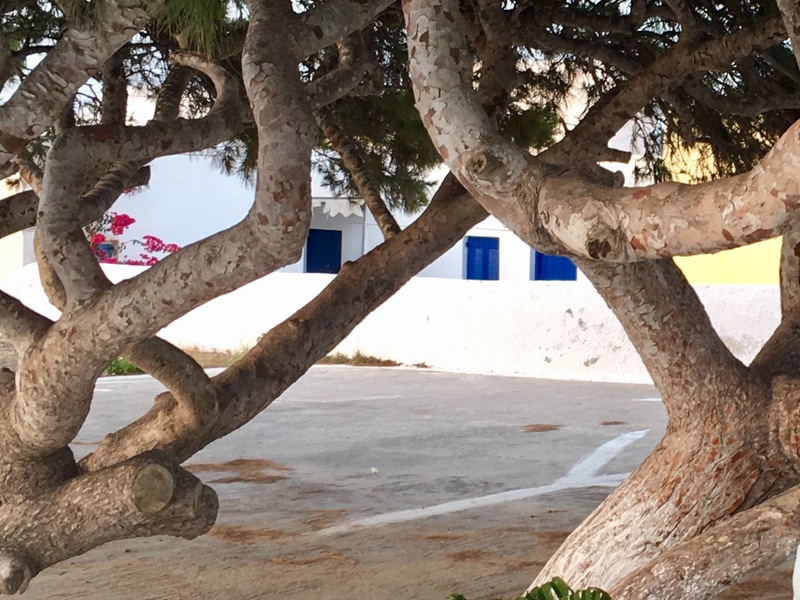 Thirasia – This island is opposite and is complete contrast to Santorini as it is underdeveloped and quiet. 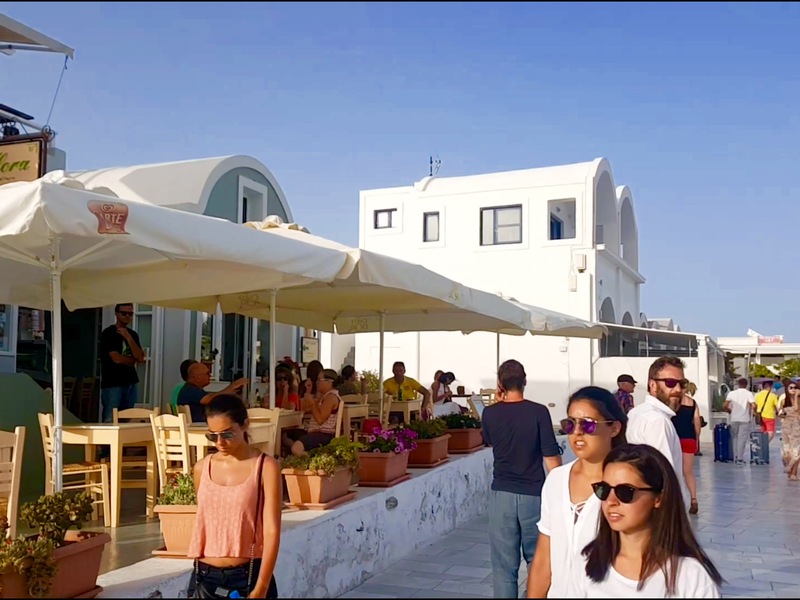 The island got separated due to volcanic eruptions ages However, the food in the local taverns is very nice and authentic Greek cuisine can be tasted in the taverns and cafes. 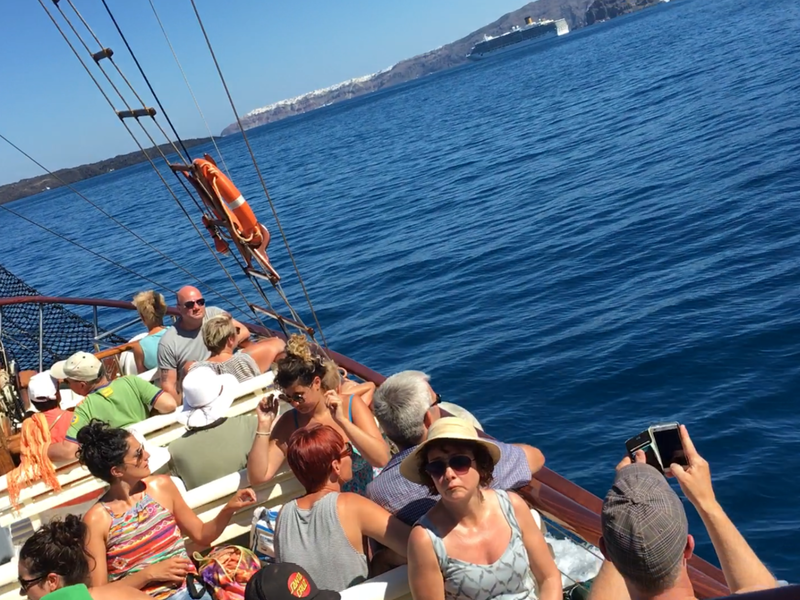 In summer, daily boat trips are organizedbetween Santorini and Thirasia. 4. 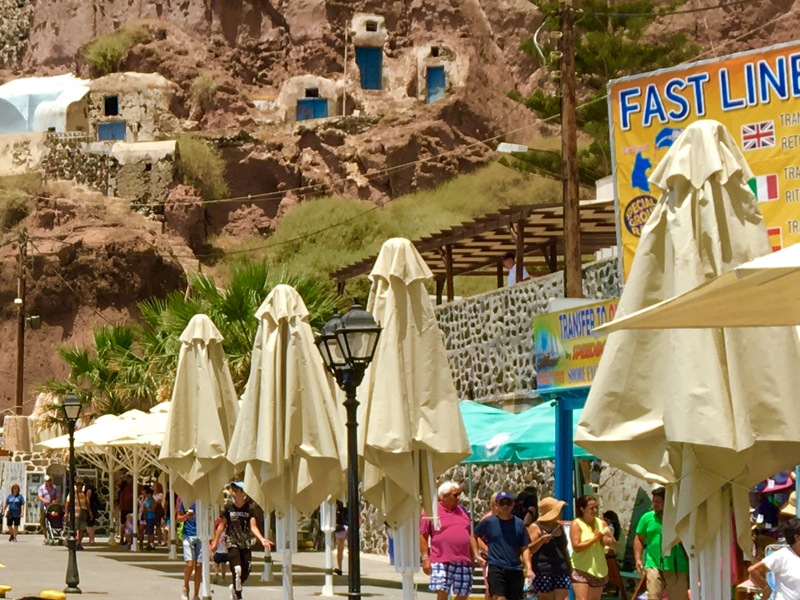 Fira – Capital of Santorini, Commercial place. 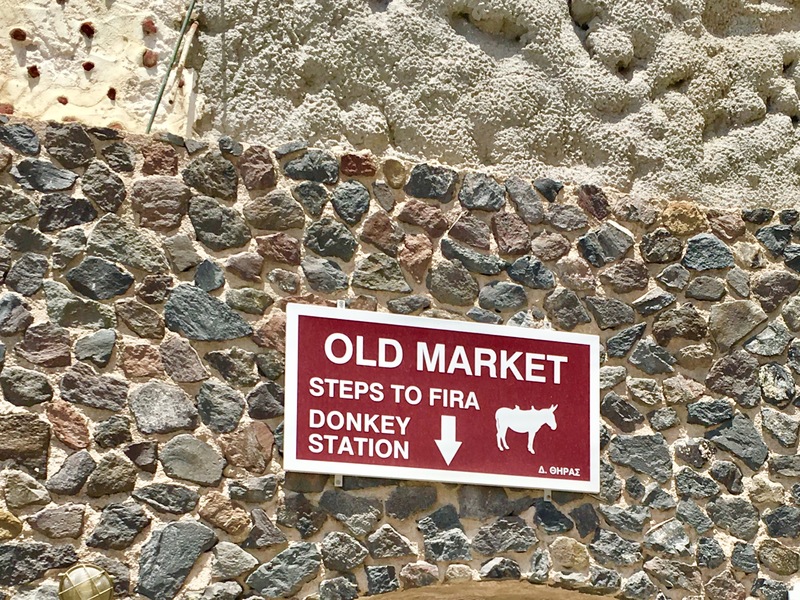 Museums, cable car, old port, donkey ride are the attractions here. Also, has the best nightlife. 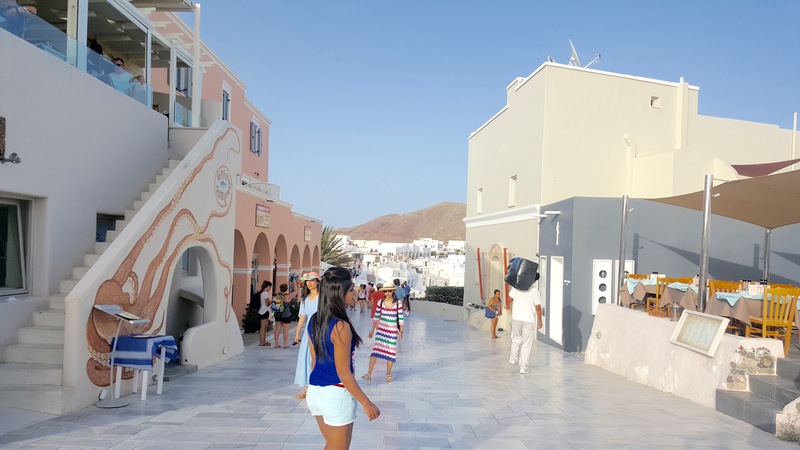 You are going to come to Fira very often if you are planning to use public transport but do take out the time to roam around Fira. Many travel agencies are available here for you to book local tours and excursions. 5. 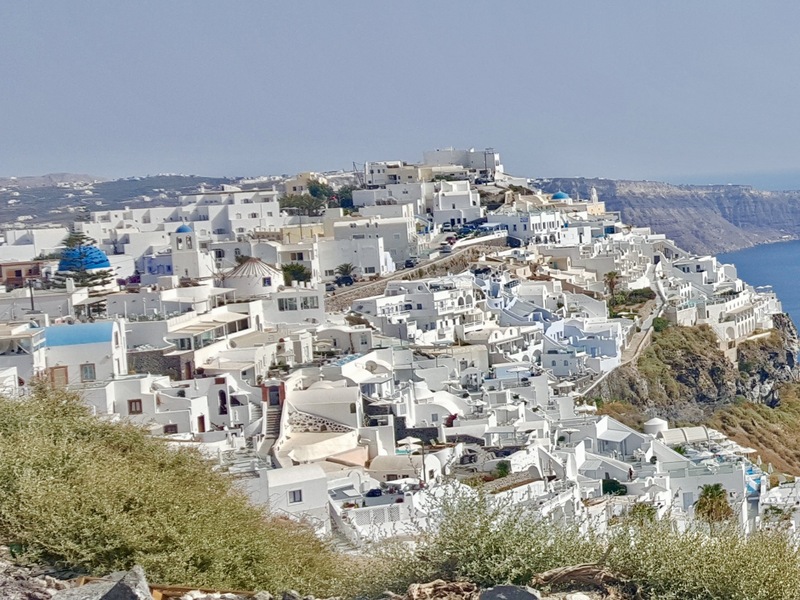 South Santorini – Megalohori, Emporio etc are small beautiful villages where you can explore Paths and Alleys of Santorini. 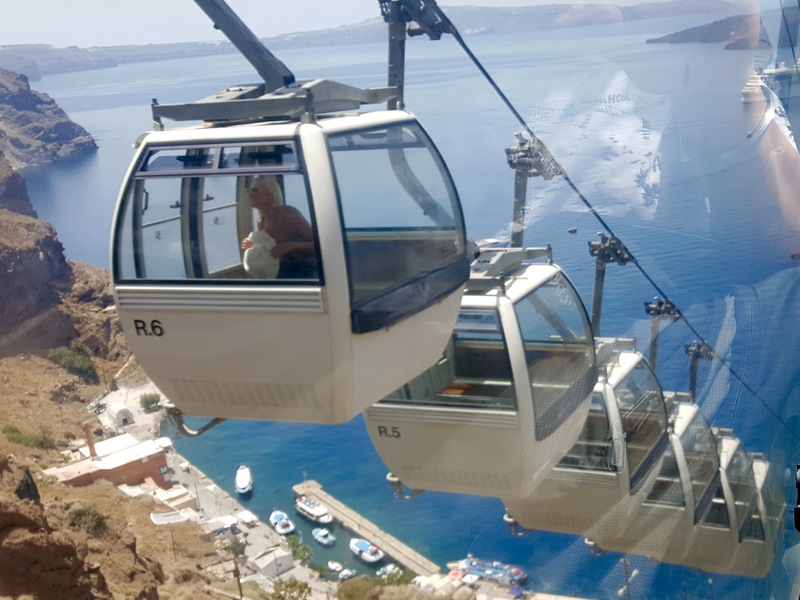 You can also witness the famous Caldera view which is worth experience.The villages can be covered by the bus tours. 6. 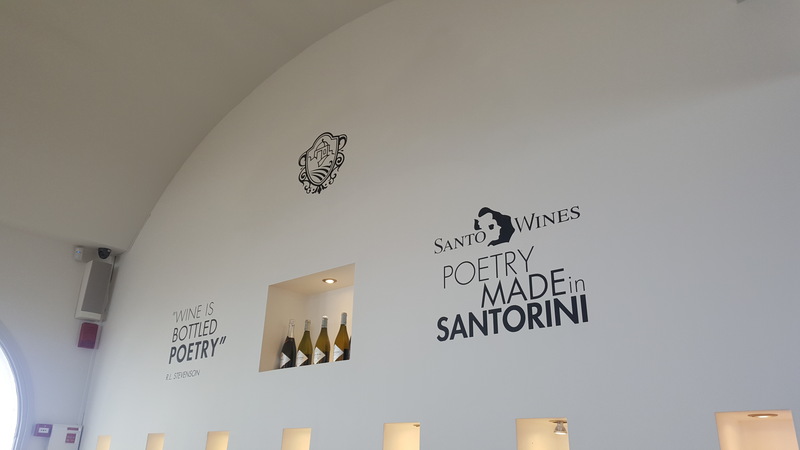 Wineries – Santo wines is the famous among wineries and is located at Pyrgos – the highest point in Santorini which gives one of the best caldera view. 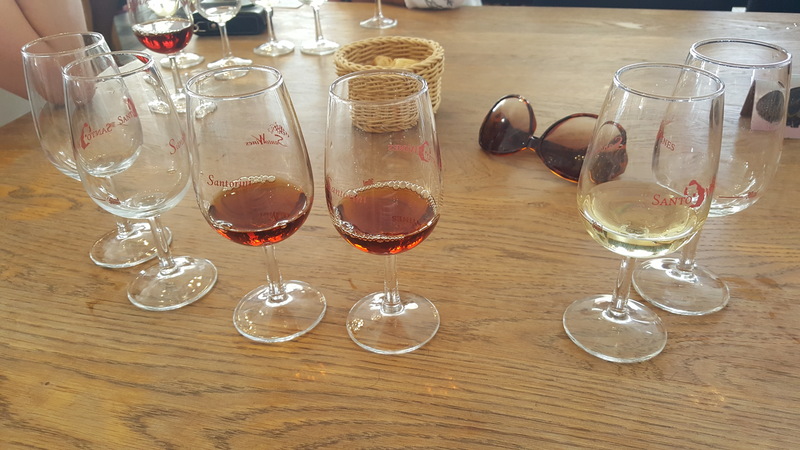 Free wine tasting is included in the bus tours where you can try upto 3 types of wines and purchase if you like any. 7. 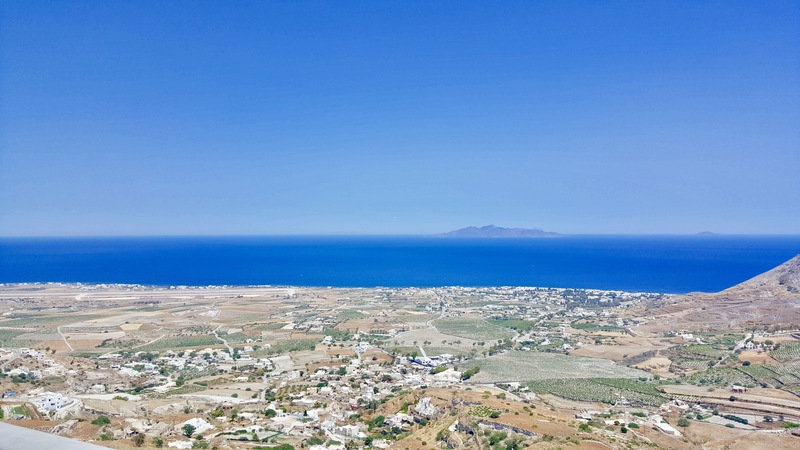 Akrotiri – The Minoan Town of Akrotiri is the most important ancient archaeological sites in Santorini. If you are interested in history then you will enjoy here. The excavation site is covered by a roofing system, which makes it comfortable to visit no matter what time of year. The ruins are extremely well preserved. Streets, buildings, stairs and even second floors of buildings are still visible. 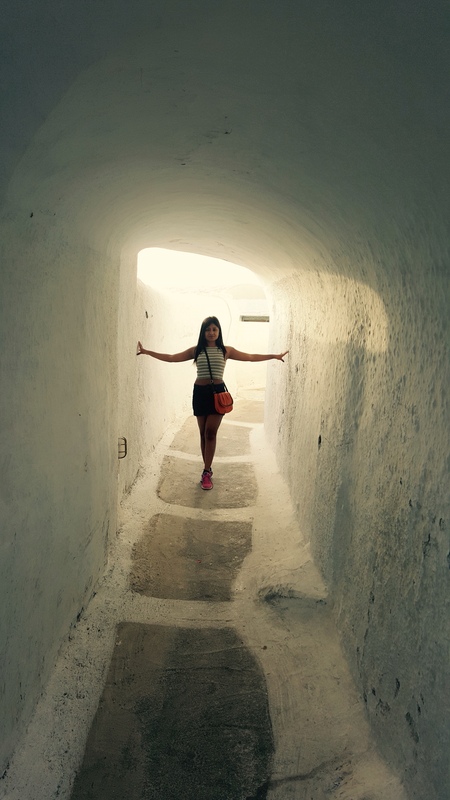 Visitors can stand in the ruins and look at Minoan pottery and frescoes. 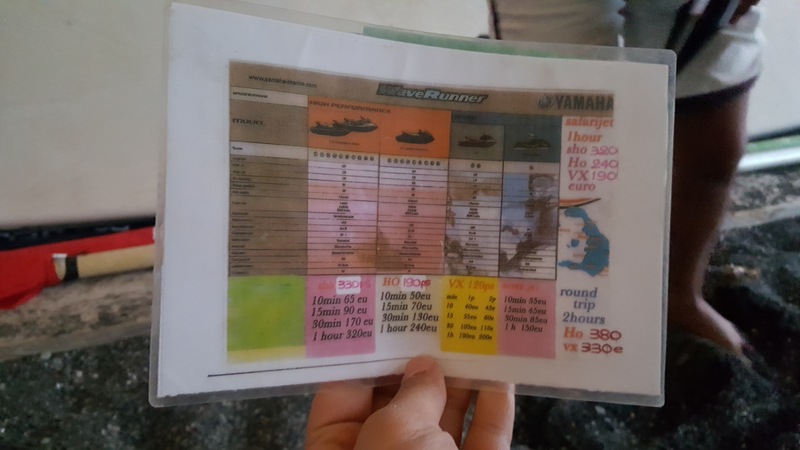 Entry tickets is of 12 euros and usually not included in any excursion, need to buy separately. 8. 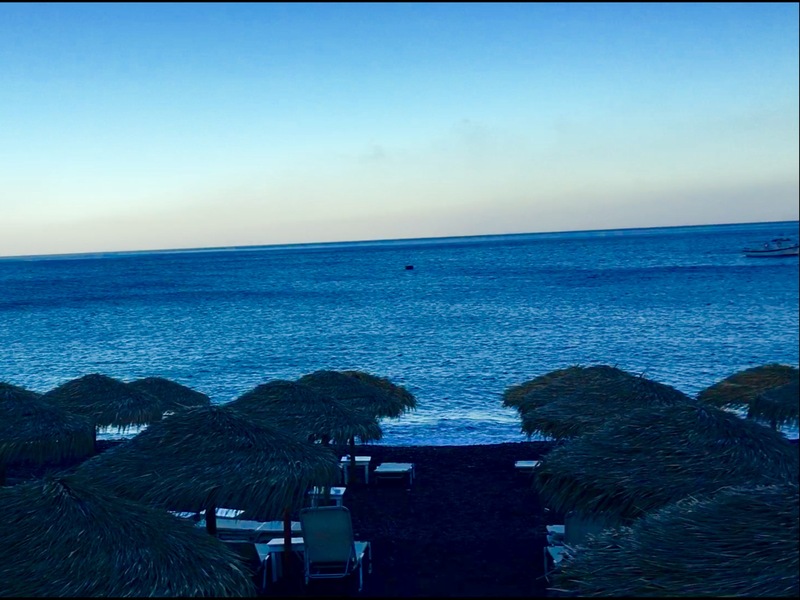 White, Red & Black beach – As the name suggests these beaches are actually in white, red & black color. 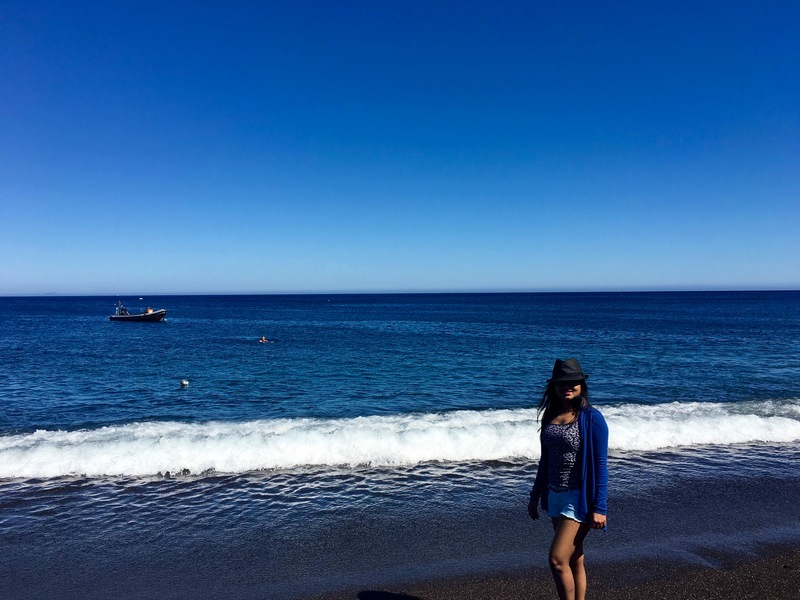 So if you love water & beaches it’s good to explore. Vehicles do not have direct acccess to these beaches so you will need to walk a bit. 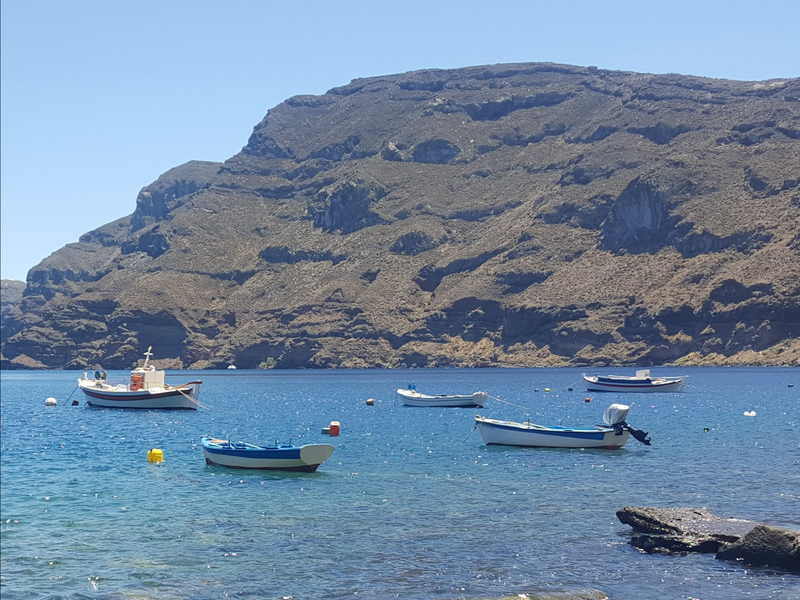 Shared boat taxis are available, they can take you to all the three beaches. 9. 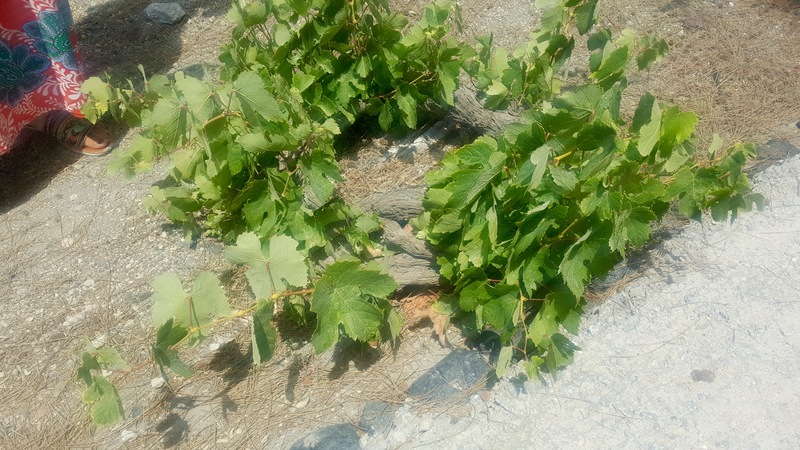 Kamari beach – Very happening beach. 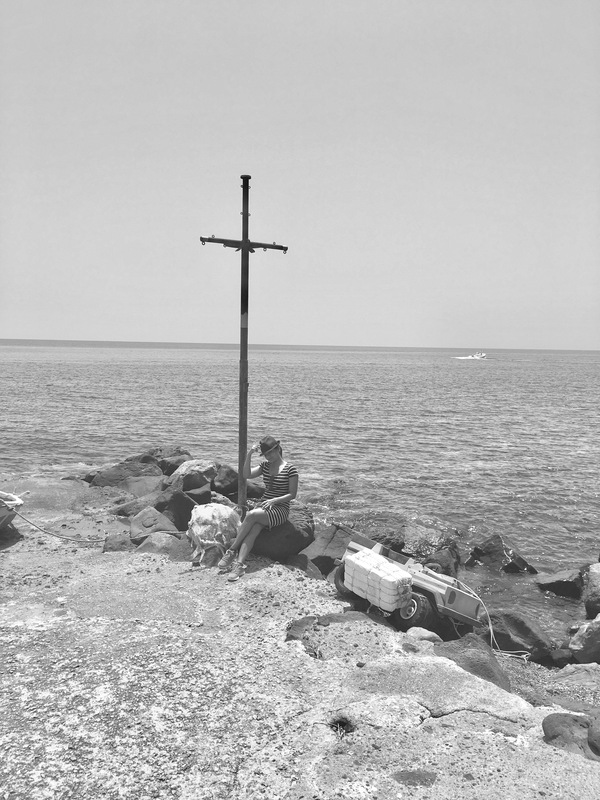 Good restaurants by the sea side with good music & delicious food. 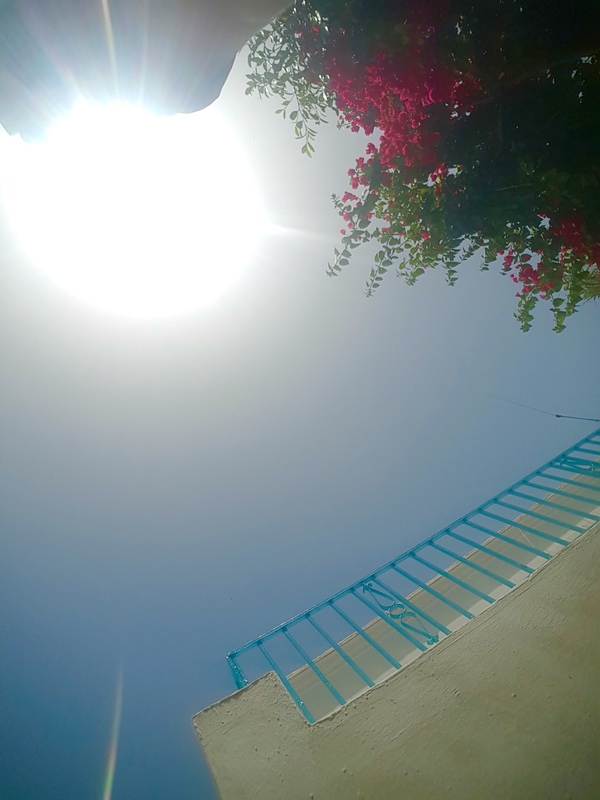 Good for swimming, shopping, water sports etc. You can only walk here. Vehicles not allowed near the beach or shopping area. 10. 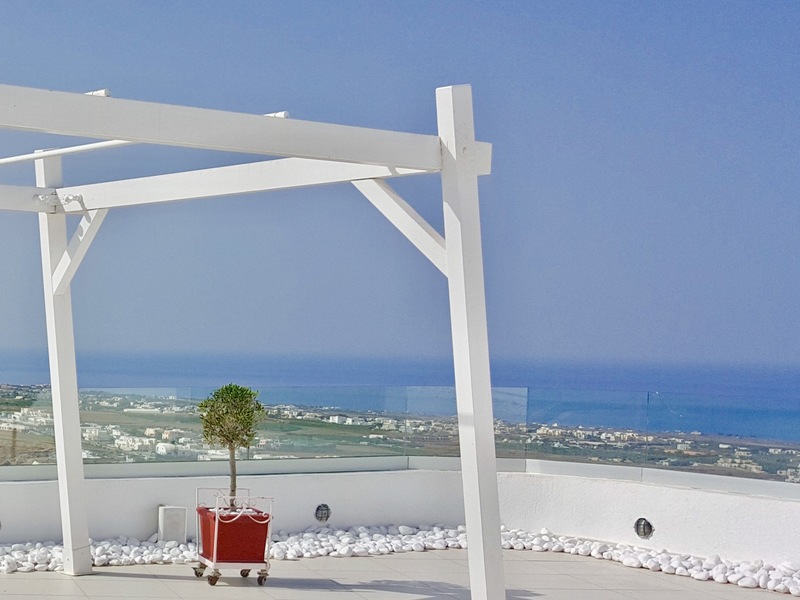 Perissa beach – This is the best beach for swimming as it has got soft sand. Other beaches are either pebble or rocky beaches. 11. 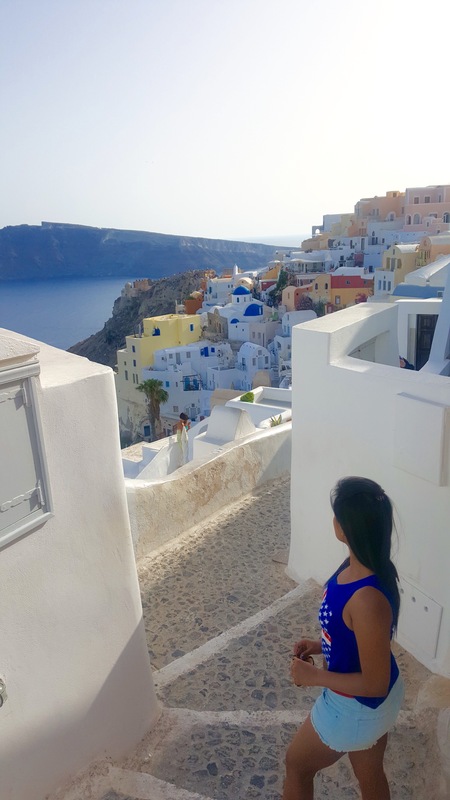 Imerovigli, Firostefani – These are beautiful small little villages of Santorini which offer the best caldera view. 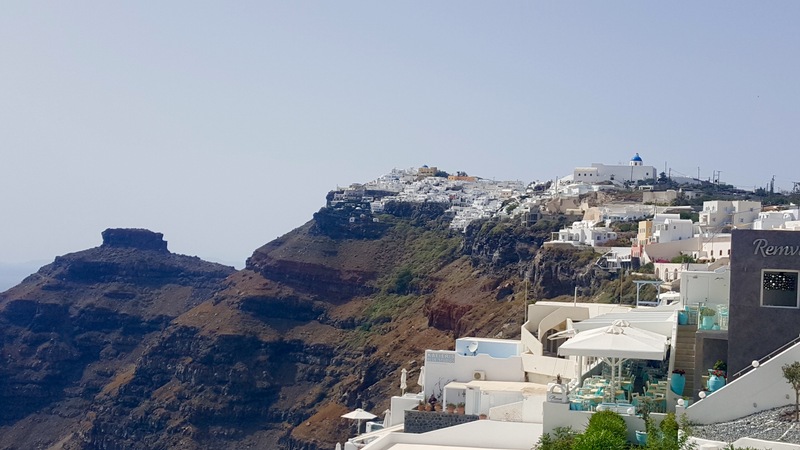 These villages are on the way towards Oia. Pleasant to see & leisure to walk. 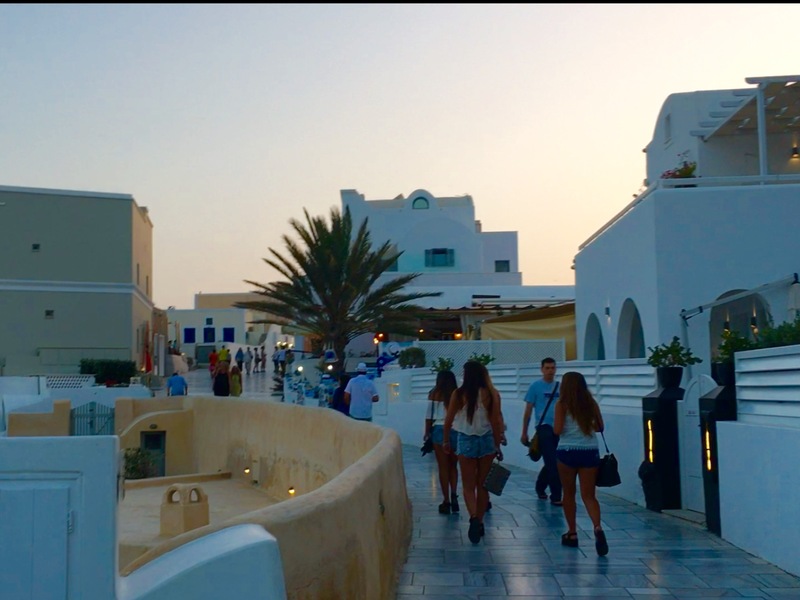 Sunset in Imerovigli is also very beautiful. 12. 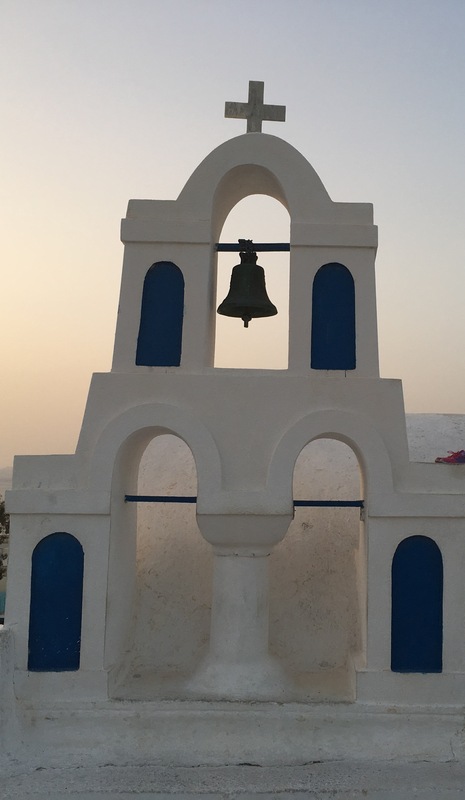 Prophet Elias is a monastery situated at the highest point in Santorini. 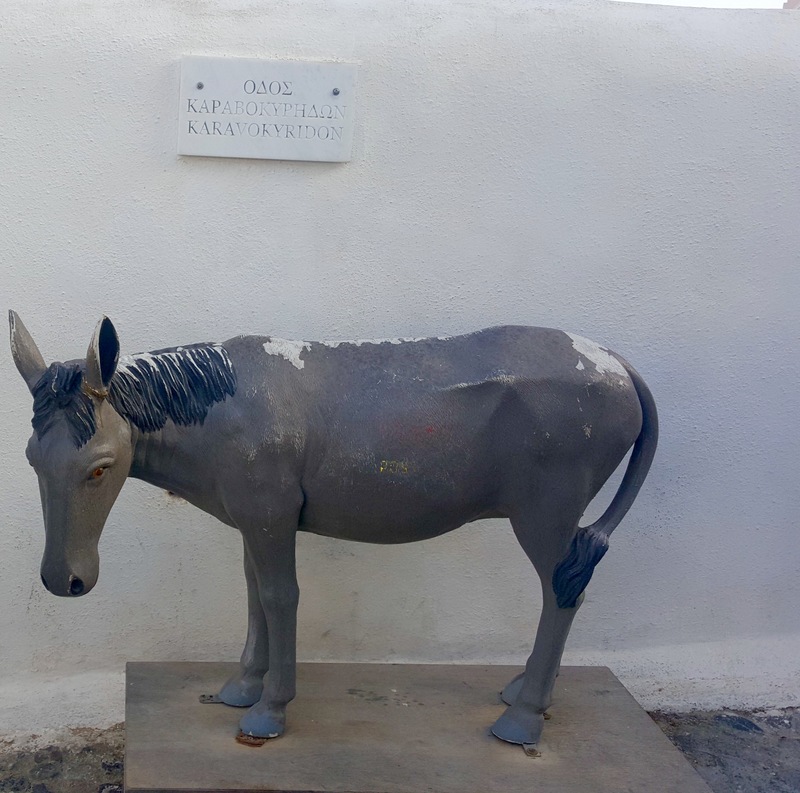 The bus tour usually include the visit to the monastery however the entry is not included. The monastery is open only in the early morning so if you want to enter the monastery and meet the monks than plan your visit separately and early in the morning. 13. 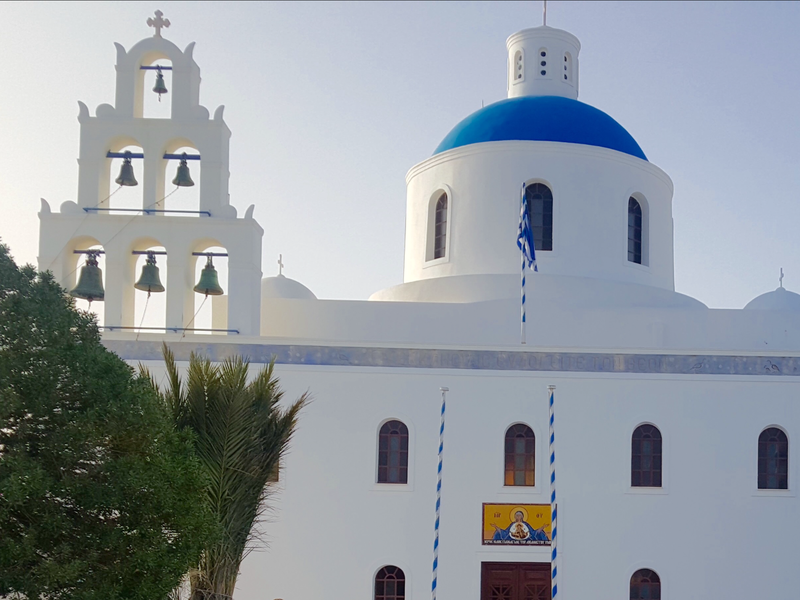 Pyrgos is old capital of Santorini, good to explore churches, alleys, and small shops. 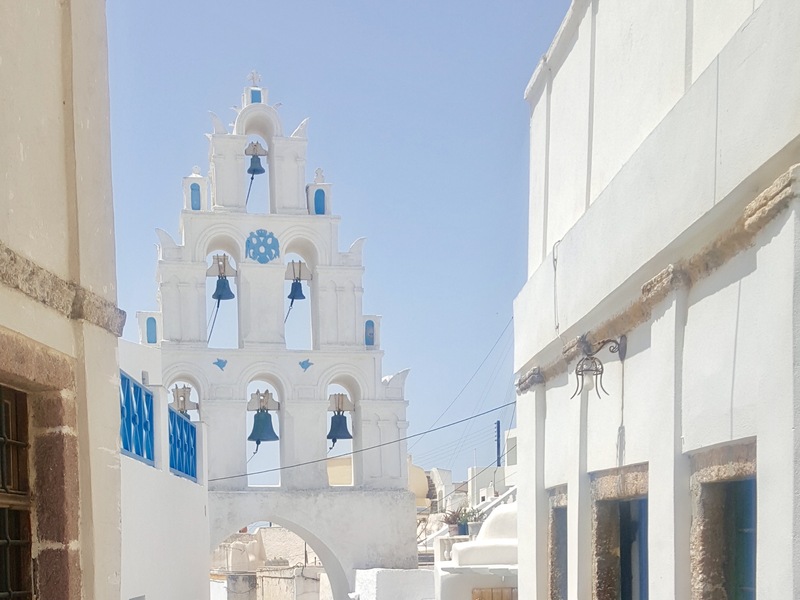 Few bus tour include visit to Pyrgos. 14. 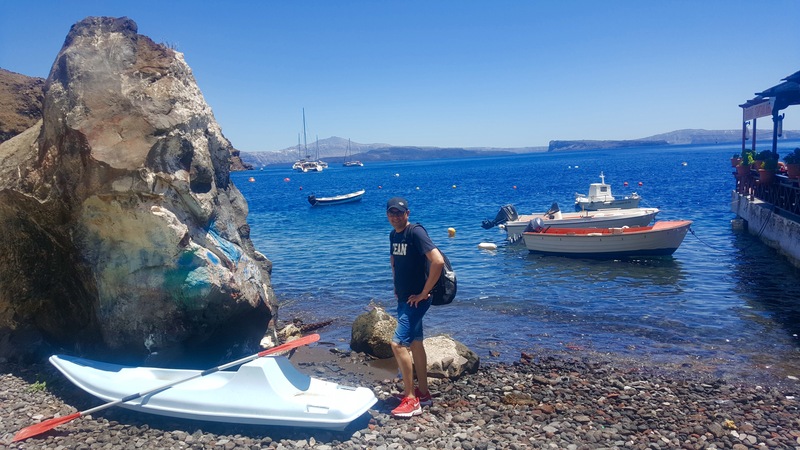 Water sports – Very costly here and not exclusive to Santorini. 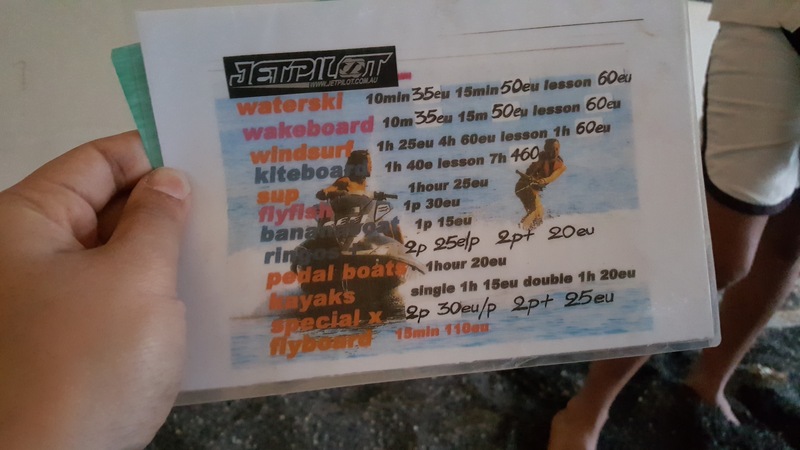 Good water sports like a parachute has a minimum fee of 100/200 euro. 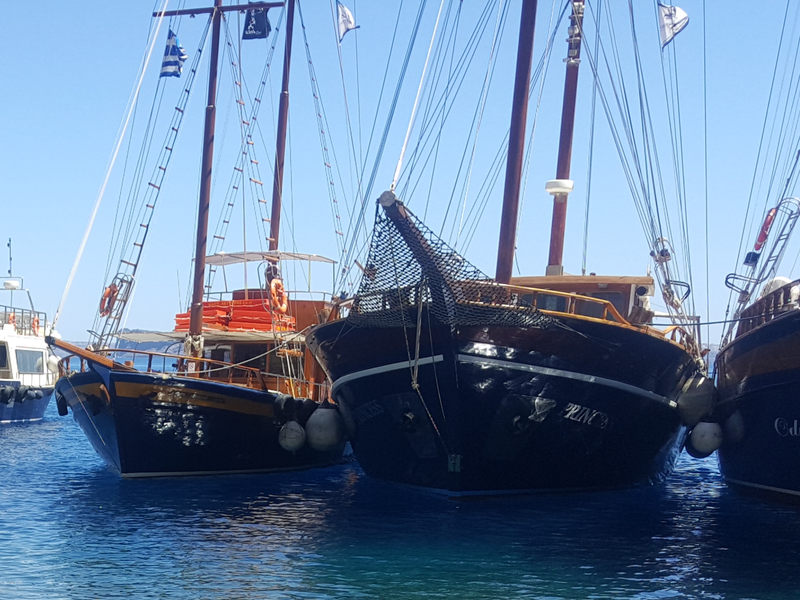 You can find the water sports only in Kamari and Perivolos Beach. 15. 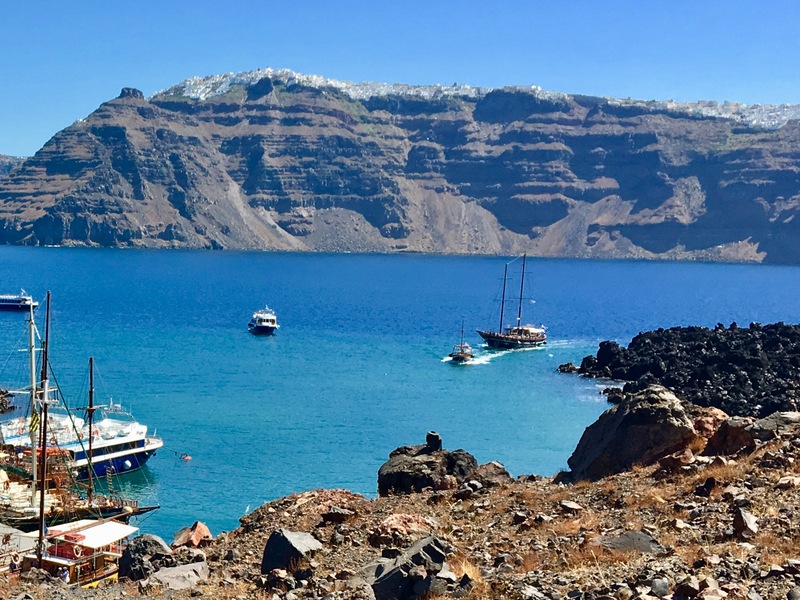 Amoudi Bay/Cliff jumping –If you are at Oia then you can fancy cliff jumping in the crystal clear mediterranean waters at the Amoudi Bay. This spot is actually quite hidden and requires a bit of stair climbing. 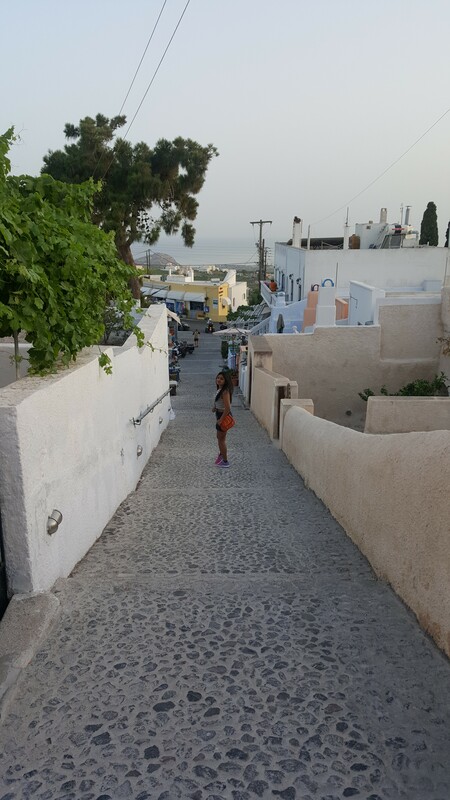 From Oia go to the port (near restaurants) then look for the big set of stairs that go down to Amoudi Bay. 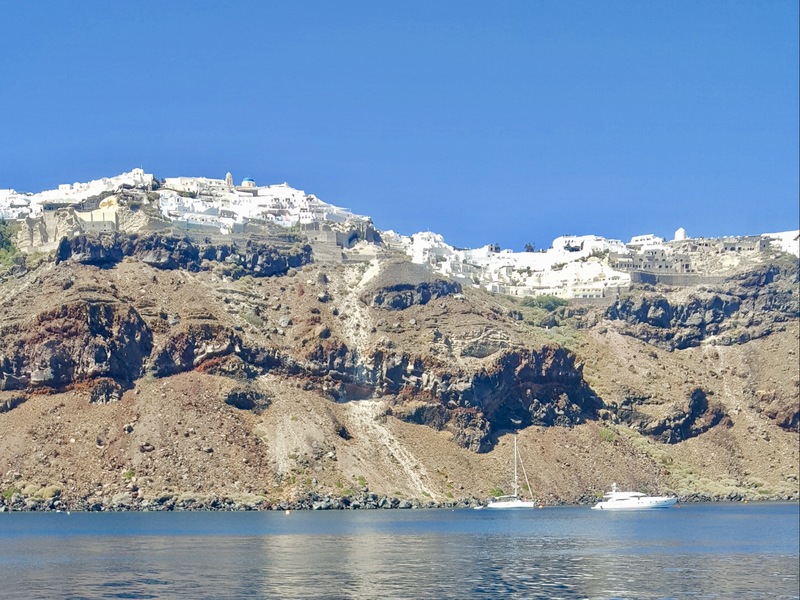 Once you reach Amoudi Bay, walk left along the cliff face. Keep walking over the edge for 5 to 10 minutes (be aware of falling rocks). You will reach the spot for cliff-jumping. You can swim out to a small island near this cliff. 1. 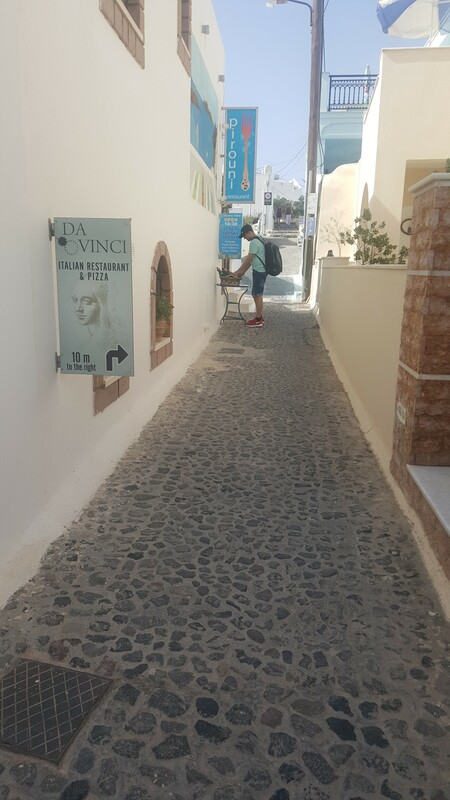 Santorini is not very kid friendly especially infants because roads are not smooth for prams. 2. Caldera view – This is what you see from the top of the cliffs looking down into what’s left of a once-active volcano’s (Santorini) caldera.It looks like an alphabet ‘C’. 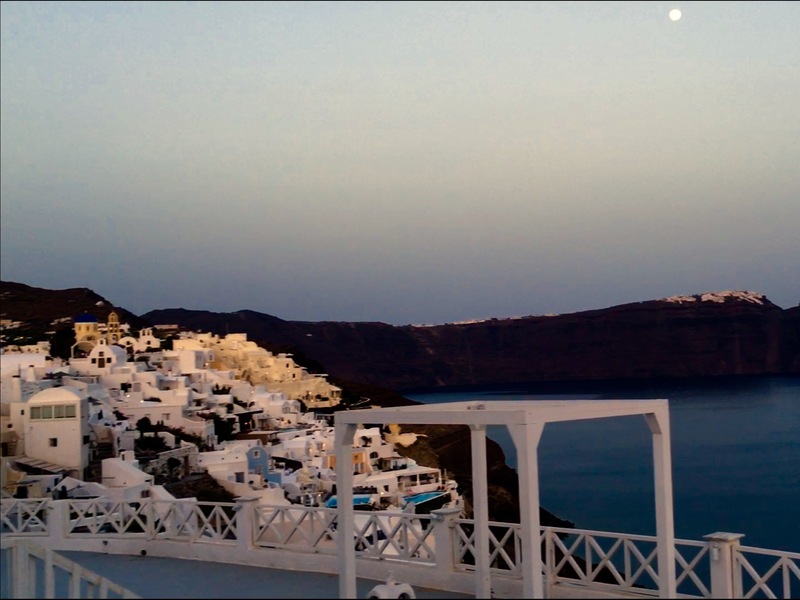 There have been many explosive volcanic eruptions resulting into caldera-forming. 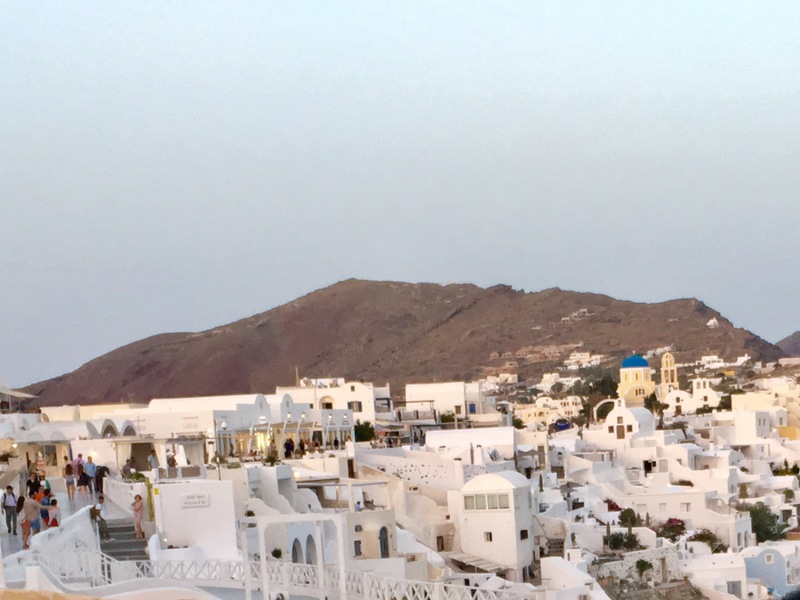 Places for good caldera view – Santo Winery, Pyrgos, Imerovigli, Firostefani, Prophet Elias, Oia, Fira.